This is my first complete away from routine recipe. I usually prefer to consume fruits as a whole not as juices or smoothies. That is the reason this is the first beverage from me. It is very simple and tasty. These smoothies quiet filling and delicious. 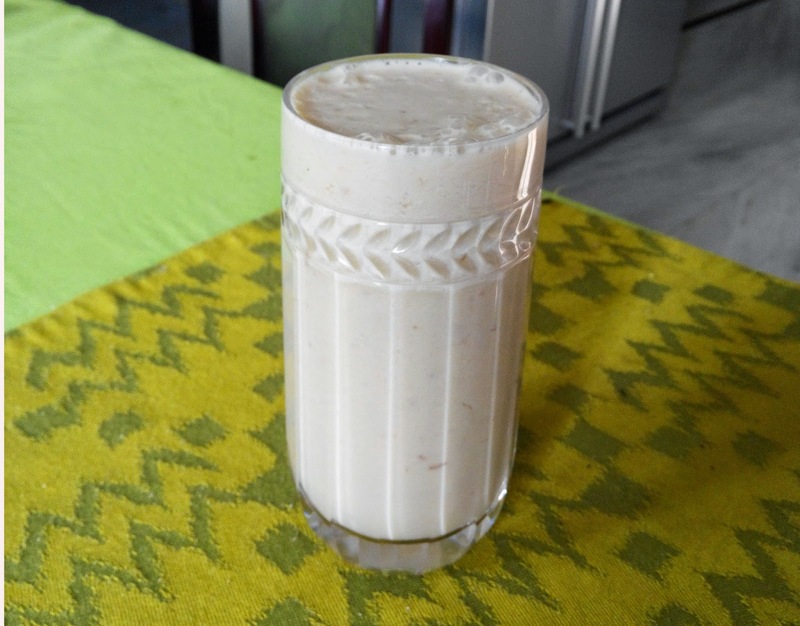 This creamy, refreshing drink is great for breakfast. Or we can even try them as mid day pick up also. So that we can delay our lunch or even skip it. Soak almonds for eight hours. For making this smoothie we use fresh fruits and use them directly instead of making juice of them. Peel the skin of orange and open the segments to remove the seeds from them. I prefer honey than sugar. Both tastes good of course. Put all the ingredients in a blender and blend it for one minute. 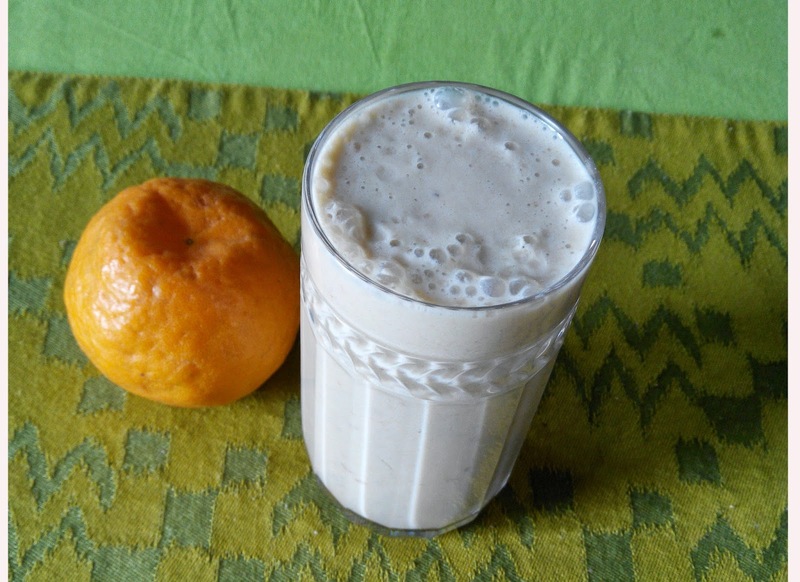 That's all the creamy and delicious orange banana smoothie ready to serve.